We’ll call this a Pinterest A-for-effort attempt! 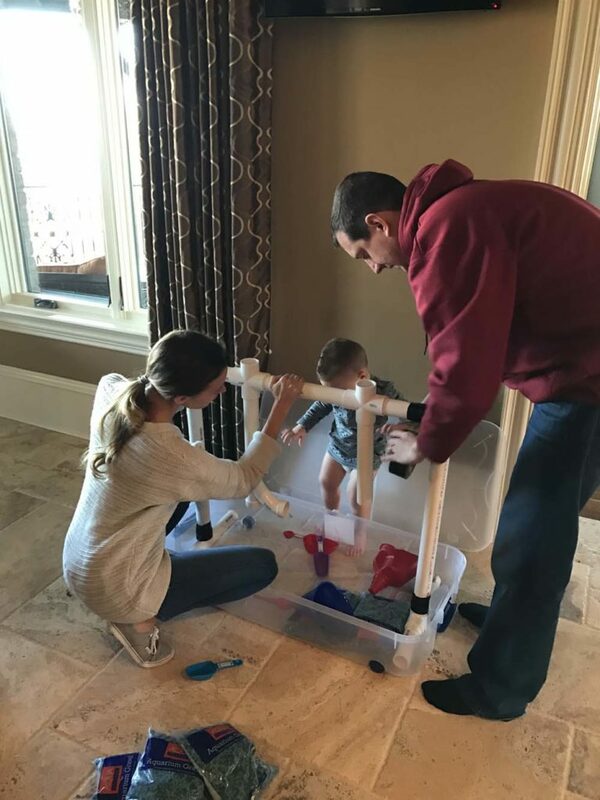 It’s hard to be cooped up inside during the winter months and even harder if you are a toddler full of energy! Brexton loves to be outdoors to run and play and especially to dig around in the sand or realign all the rocks in our landscaping. 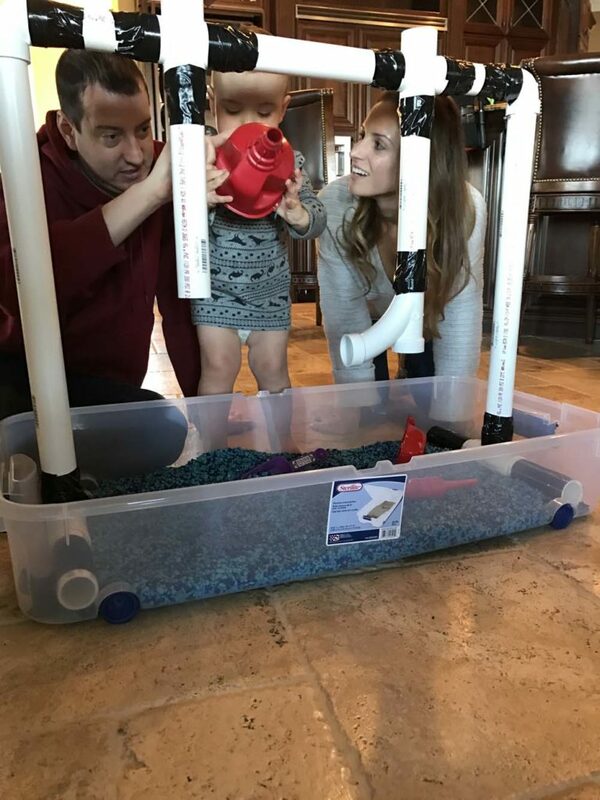 As most Moms do, I turned to Pinterest to try and find something fun for him to do indoors. 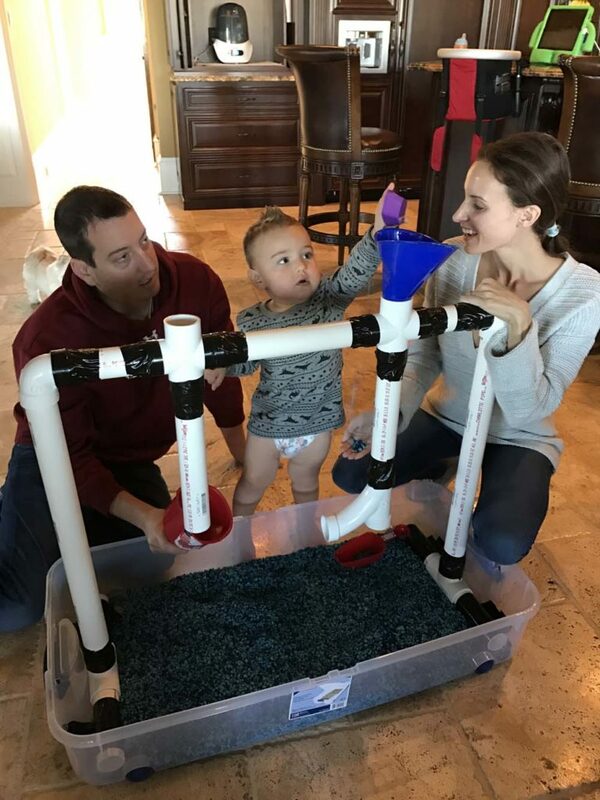 I came across this cool funnel system where you can scoop gravel into the different tubes and I thought this would be something Brexton would love! I went to the store and bought a variety of PVC pipes and connectors. There are a ton of different ones so you can get as creative as you like. I also picked up two funnels, scoopers, fish gravel and a shallow plastic tub to hold it all. You will also need duct tape and a hack saw if you wanted a smaller piece like we did. After making this creation, I would also advise you to get a big tarp. Start by building the legs on the structure and giving it feet so it balances in the box. 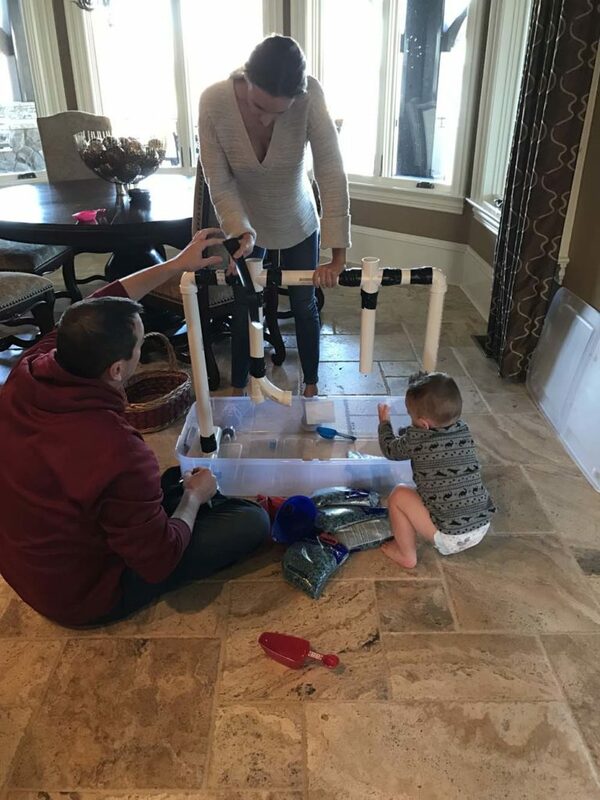 I also found it best to use a lot of duct tape to secure the pieces together and to the box because at first, Brexton had more fun taking it all apart. Make the cross piece at the top and add two four piece connectors so you can have funnel systems. Connect the top to the legs and give it all a generous helping of duct tape. 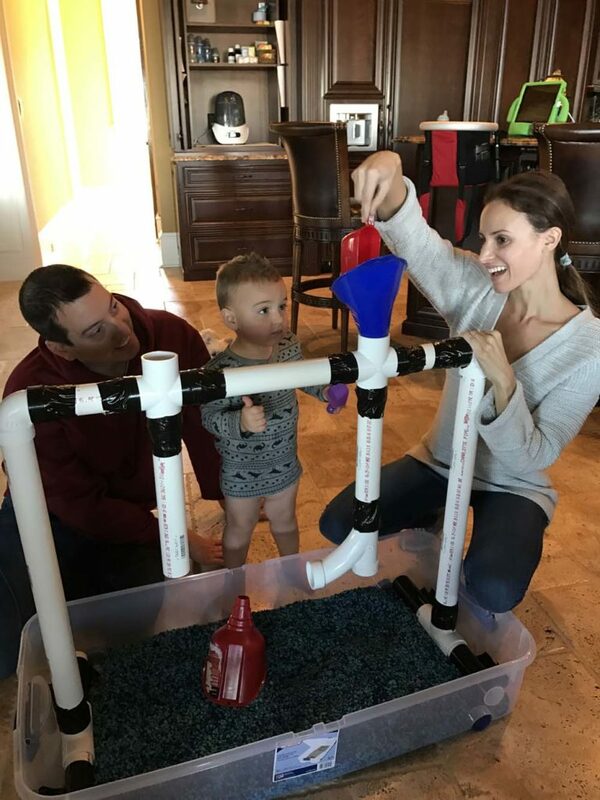 Pop in the funnels, pour the gravel and you are ready to go! 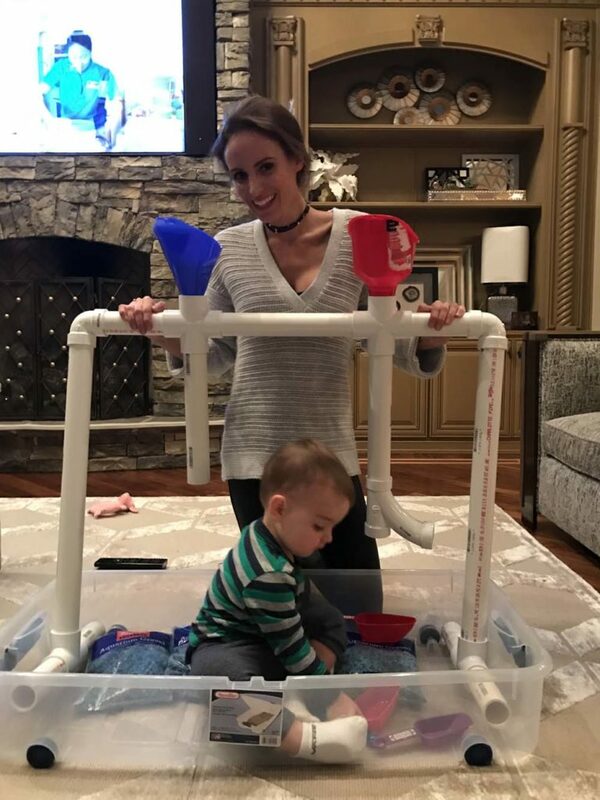 Let me note that this was really easy to make and Brexton had a lot of fun. However, it’s a huge mess! 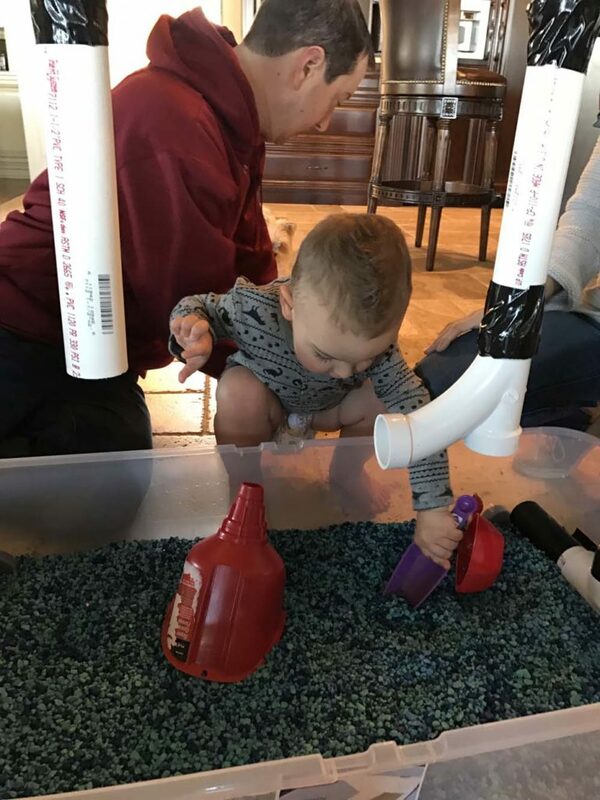 Brexton thought it was way more interesting to scoop the gravel onto the floor and we ended up with fish gravel in every nook and cranny of the kitchen. I will be going to get a tarp to let him play on or I will just wait til the summer and let him use it outdoors. 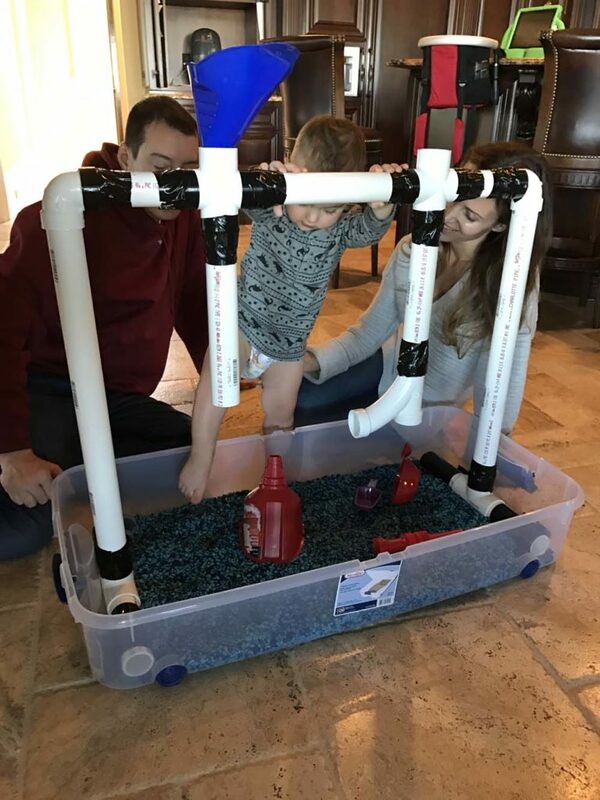 I just wanted to give him something more to do indoors though so I will likely end up getting the tarp or blowing up his kiddie pool from the summer and putting it all in there and probably out in the garage! Just wanted to let you know that it’s not as picture perfect as Pinterest makes it seem! Hope you and your kiddos have fun!